Fast development is often characterised by a high level of entropy. But a little chaos is not bad for business. On the contrary, we would argue. Just have a look at the accelerated evolution of digital marketing in Germany. So many channels, so many tools, so little time! Let`s have a quick overview of the digital advertising scene in Germany and see how marketers and developers can best work together to leave their mark in a changing digital landscape. Following the global trend, the digital ad market in Germany reached in 2018 a total of 32% of all advertising spending. Apparently, this rising trend in digital is made at the expense of TV ad spending. In 2017, TV ads recorded a first time drop under 25% since 2015. Prognosis indicates that this dynamic will continue to manifest until 2022. This basically means that digital marketing will continue to increase, while TV and other forms of advertising will constantly loose traction. The battle between digital channels and TV seems to be going one way. Digital looks ready to come out on top of the game. On the one hand, Germany made internet speed and coverage a national priority and aims to become a global leader in digitalisation. So, if plans go as expected, digital marketing efforts will get a significant boost. On the other hand, both the numbers of viewers and the total viewing time for digital video content are on the rise, especially in Germany, where both these variables are surpassing expectations in 2019. In contrast, the number of TV viewers is forecasted to halt in 2019 – but is still higher that the number of people who watch digital video content. To add fuel to the fire, it seems that the Retail sector is the leading industry in terms of digital marketing spending. 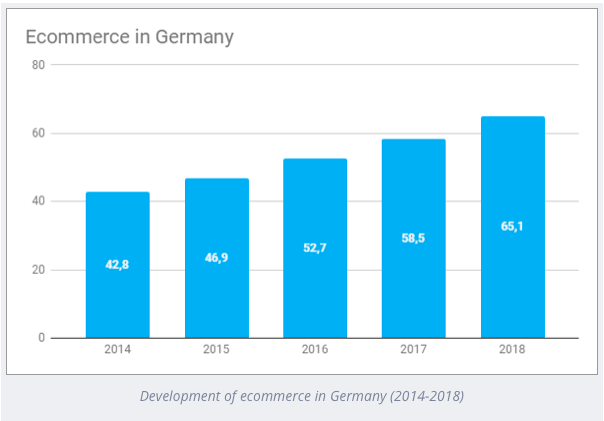 And this makes a lot of sense, since, according to a 2019 statistic on ecommercenews.eu, for every euro spent in the German retail industry, over an eighth part goes to ecommerce. And it’s really not that surprising if you consider that around 70% of German consumers engage in online research before a major buy. Naturally, in this booming market, the number of tools available for digital marketing is growing exponentially. Where money goes, innovation follows, and marketing budgets make no exception. Therefore, we ended up with an increasing number of digital marketing channels, analytics, marketing automation, social media tools and so on. Each and every one brings something to the table, and the more tools you integrate in your strategy, the better. At least this is how the story goes. But how do you keep track of all the different functions and features? Well, in 2019, the key word for making sense and taking advantage of the various software solutions and platforms is centralisation. After expanding their digital portfolio, marketers are looking for a way to monitor their ad budget on all the platforms they use. Sether is focused on providing this type of centralised monitoring for Social Media Campaigns and GoogleDisplay. Our simple interface allows marketers to simultaneously track social media accounts and digital marketing campaigns with an emphasis on optimisation and reaching the desired KPIs. Simply put, Sether’s goal is to create a centralising platform to rule them all. If the future of marketing is digital, we need digital marketing tools that excel in both simplicity and effectiveness. As the data seems to indicate, the German digital market is flourishing. So, marketers and developers need to work together in order to foster further development. The potential is there, let`s make it happen!